Woman showing money after earning through old car. Old & junk cars can offer great value to its owners. 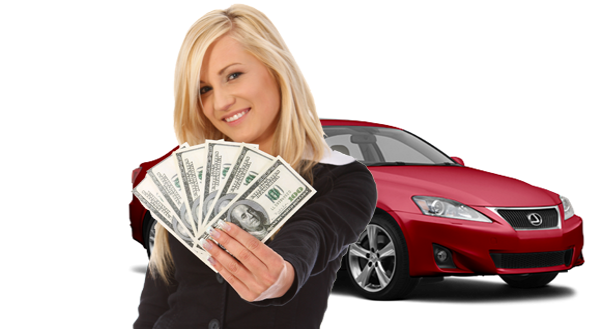 These wonderful ways to make money from old car can help you to recover some costs. Every new vehicle will become an old vehicle someday. In light of an aging light vehicle, a growing number of auto owners are likely to replace their old vehicle with a new one. These auto owners might replace their old & used automobile just to lessen their carbon footprint by switching to a smaller, more energy-efficient model. According to a post published in The Balance, every year, around 27 million cars that reach the end of their useful life around the world are recovered for recycling. This not only makes the car recycling industry to stand as the 16th largest industry in the US but also contributes around $25 billion per year to the national GDP. It is one of the best ways to make money from an old car. Every automobile has a number of key parts within its body. If you or someone in your family is having some mechanical expertise then removing & selling easy-to-access parts can be a good option for you. Some of the valuable parts that can be sold to car enthusiasts, hobbyists & others include wheels, glass, sound system, axles, seats, lights, trim pieces & many more. You just need to remove the significant parts from the car piece by piece, take photograph & list them on ecommerce sites. There are several best websites to sell used parts of an automobile including ebay, craigslist, JustParts, PartingOut, as well as various automotive forums. However, this entire process may require a lot of labor as well as significant time in and of itself. Before adopting this routine, make sure that your auto parts will be in demand. After dismantling, you should have enough free time & patience to wait for the right buyers to make extra money. Nice! These ideas really works to use old car for pick and drop and we can use it on for small business to carry items from one to another place with cheap rates. Selling your junk car sounds like a wonderful idea. My parents have this old vehicle that’s been there for years. If I lived near them, I’d try to take that advice to remove the pieces one by one and take photos of them before posting it online. However, they’ll probably end up just selling the entire vehicle.